CLOSEOUTS. 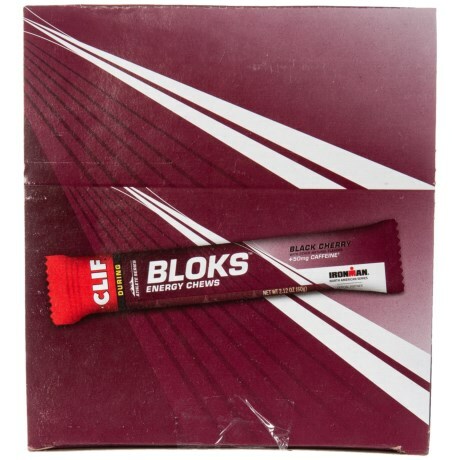 Stay focused and energized during long, intense training sessions with these Clif Bar Black Cherry Blocks Energy Chews, formulated with electrolytes and caffeine for long-lasting energy. Available Colors: SEE PHOTO.